This teddy bear will be loved by anyone who gets one. I’m sure you will like this project and will be proud of your final work! This teddy bear can be a wonderful gift for a child. Designed in a traditional way, it will also be a part of an adult’s best childhood memories. For more free designs every day follow us on Facebook. Share your ideas and your work on our Facebook group! 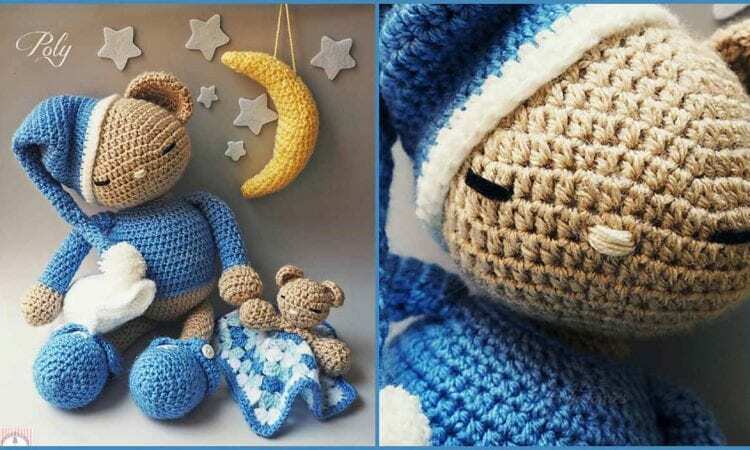 Teddy Bear Poly – visit the free pattern site or download here. It is adorable. A definite present for a new baby coming.